Introducing the practical perpetual calendar! Functional, reliable, and simple to set. The sum of 40 years of watchmaking experience, Dr. Ludwig Oechslin’s new perpetual calendar watch is designed for everyday use. 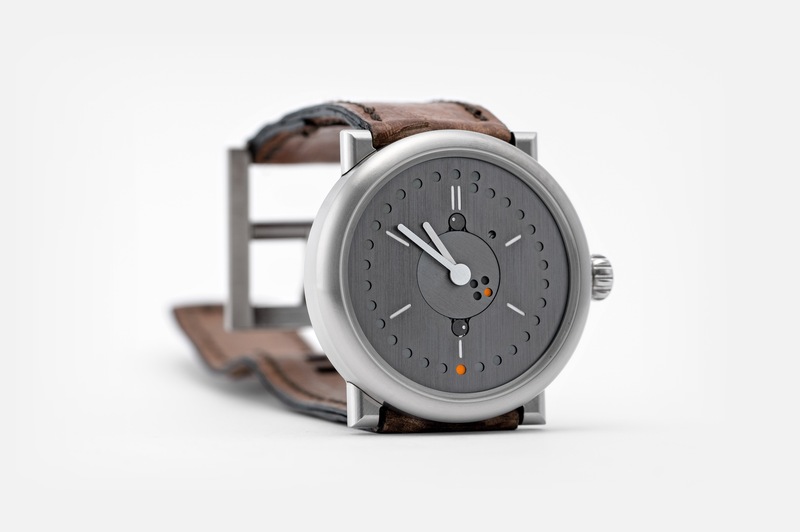 The year, month and date are displayed with analog dots to address a key usability challenge with calendar watches: making the date legible, without resorting to an oversized display which distracts from reading the time. The perpetual calendar function comprises just 9 additional parts. Fewer parts mean fewer interactions between parts and higher reliability. A lifetime warranty covers all parts designed by Oechslin. Every function can be set simply using the crown, and the date can be adjusted forwards and backwards. 23 films in 4K resolution are ready to watch. The films include a 360° product shot, 16 clips from an interview with Ludwig Oechslin, 5 product demonstrations, and an uncut 23 minute film of ochs und junior watchmaker Sandra Flück assembling Oechslin’s perpetual calendar in Lucerne. There is also an interactive watch and 12 high-resolution photos (including wrist shots). Learn more on the new perpetual calendar pages!